This was one of the last Nintendo 64 games I ever bought. I've played Goldeneye, but at the time of this writing I still haven't added it to my collection. 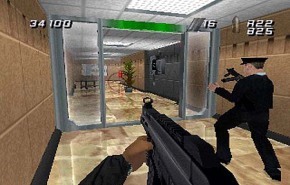 Mental note: get Goldeneye. Anyway, this was as good as First person shooters got on the N64. It really showed off what the N64 was capable of.